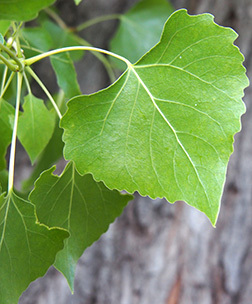 Leaf:Alternate, simple, broadly cordate to triangular, coarsely crenate, 2 to 4 inches long, petiole flattened, shiny green above, sometimes pubescent beneath. 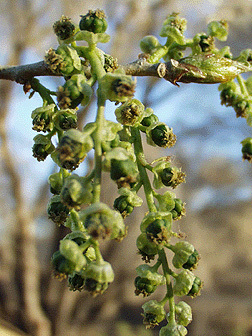 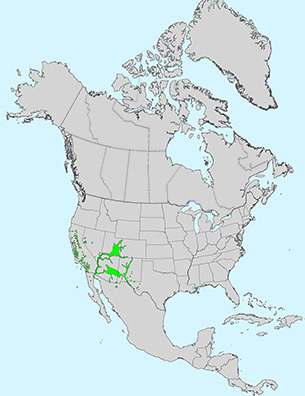 Flower:Species is dioecious; males and females as hanging catkins, 2 to 4 inches long, yellow-green, appearing in early spring before the leaves. 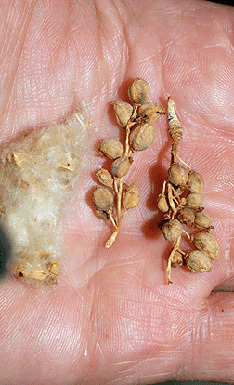 Fruit:Light brown, small egg-shaped capsules, splits (3 parts) to disseminate numerous, small cottony seeds. 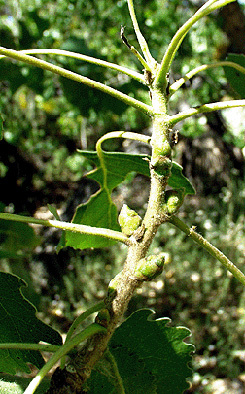 Twig:Moderate to stout, gray-brown to yellow-brown, swollen at leaf scars; large green-brown pointed bud, not sticky; twig has a bitter aspirin taste. 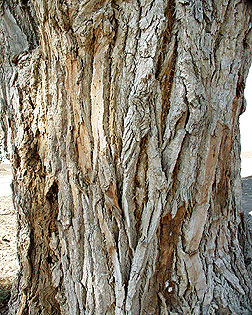 Bark:Light gray-brown, becoming deeply furrowed with flat-topped ridges. 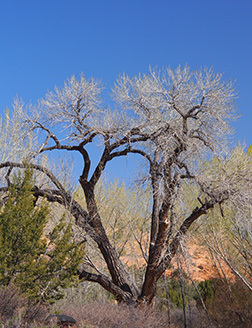 Form:Reaches up to 60 feet in height with a broad, flat-topped crown, with a trunk up to 2 to 3 feet in diameter.